Walmart recently lost $3b in annual sales due to misallocation issues. In other words, it’s a dangerous time for businesses; customer expectations are changing at an unprecedented rate, and speed is of the utmost priority. 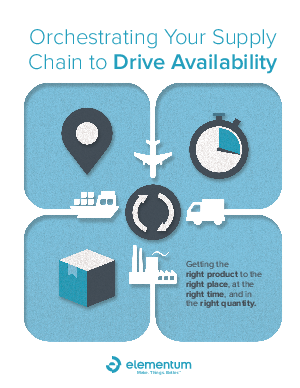 To meet these expectations, your supply chain can no longer operate as a back-engine room moving materials based on forecasts and costly buffers. Rather, companies needs to be strategically positioned to consistently drive the right products, to the right place, at the right time, and in the right quantity. Learn more about what’s slowing your operations, the cost of inaction, and how you can start driving availability to meet the speed of customer expectations.